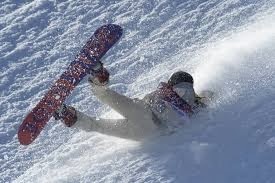 As I watch the intrepid athletes compete in the Sochi Olympics, I know that some would give anything for a "do over." It is a fantastic concept, but it is one that is only acceptable in children's games––and then only when played among forgiving friends. Real life is not forgiving. 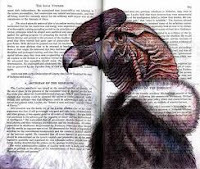 On the other hand, in fiction the rules can be bent and sometimes downright broken! Peter May teases us with this notion in his latest book Entry Island (Quercus, 2013). 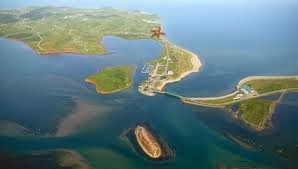 "There has been a murder on the Magdalen Islands, out in the Gulf of St. Lawrence," are the first words that Sime Mackenzie hears after another tortuous night of twisting-and-turning insomnia. He is to be part of the investigation team sent from the Montreal police. This was the first murder in these islands since living memory. It took place on l'Île d'Entrée, better known to its inhabitants as Entry Island. The Madelinots are French-speaking for the most part, but on Entry Island they speak only English. This explained Sime's inclusion on the team, because he was equally at home with French or English. Entry Island is about 900 miles from Montreal, although it is still part of the province of Québec. The police team must make the final leg of the trip by boat. The victim, James Cowell, was a native of the Islands (called the Magdalens by the French speakers and the Madeleines by the English speakers) and a wealthy businessman who, among other things, ran half the lobster boats in the Madeleines. His wife Kirsty claimed there was an intruder in a mask who attacked her and, when Cowell came to help her, he was stabbed several times. Most of the team thinks this will be an open-and-shut case, but Sime is unsure because, for one thing, Kirsty looks very familiar to him and she does look as if she has been beaten up. Sime (pronounced Sheem) is not at the top of his game, because his personal problems are overwhelming him in his sleepless state, and when he does sleep, he is disturbed by vivid recollections of stories read to him by his grandmother, triggered by meeting Kirsty. His grandmother read these stories from an old family journal written by a Simon Mackenzie, written in the mid-1800s when the lands in the Outer Hebrides were being cleared of the starving, poverty-stricken Scottish sharecroppers by the English lords so they could raise sheep. 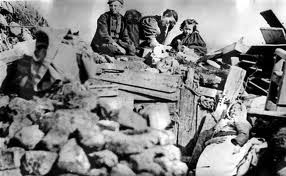 What was it about this remote location that was triggering these memories of the Highland clearances? There wasn't much on Entry Island except a dwindling population of about one hundred people, a few stores, a church, a school and a post office. So when Kirsty claims she has not left the island for 10 years, and says she never wants to leave, no one believes her. And since the area is so hard to get to, the police doubt the talk about an intruder. The spotlight is focused solely on Kirsty, particularly when there is another disappearance and possible death of another of the island's inhabitants. Remnants of a hurricane are barreling down on the islands, and the weather becomes a character in itself as it wreaks havoc, with mighty and furious winds and burning, spitting rain. Entry Island is temporarily cut off from the world as it hunkers down in the storm. I myself felt cold, damp and miserable as I was caught up in the descriptions of the tempest. Peter May has written several very successful series. His first featured Li Yan, a detective in the Beijing police who has partnered with an American pathologist, Margaret Campbell, to solve some very unusual cases. Then May moved onto France, where Enzo Macleod, a Scottish biologist, took on several amazing cold cases. 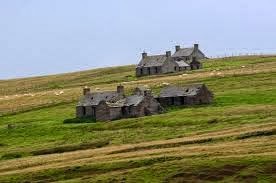 My favorite series has been the Lewis trilogy, in which Fin Macleod, a Detective Inspector in Edinburgh, returns to his birthplace on the Isle of Lewis in the Outer Hebrides of Scotland. 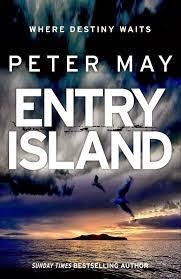 Entry Island is somewhat of a departure for Peter May, because the murder mystery takes a back seat to the history of the settlement of some of the Madeleine Islands. 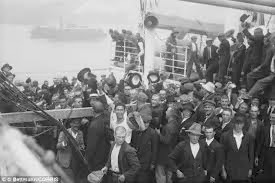 There is a focus on the very bad old days of the times between the forced dispersal of the Scots to the New World and the difficulties the immigrants faced when their welcome was not to be counted on. The story moves on at a slow pace, as Sime has repeated flashbacks to the days of his ancestors. I believe May's descriptions of the injustices and the inhumanity of the past kept my blood on the boil. It was due to the same Scot in me that makes me shiver when I hear the bagpipes. Despite an exotic location and the distinctive individuals involved in the crime, the motives for murder are not that unusual. Sime Mackenzie faces a conflict between his professional duty and his personal desires and he is led down a path he could never have foreseen. If you enjoy your crime novels with connections to another time this book would be a great addition to a TBR pile. I do believe you have this reversed. Madeleine is French. The English speaking folks call spell it Magdalen. I'll take your word for it. I thought I quoted Peter May correctly but I no longer have the book at hand. What you say does sound more appropriate. Thanks for the info.